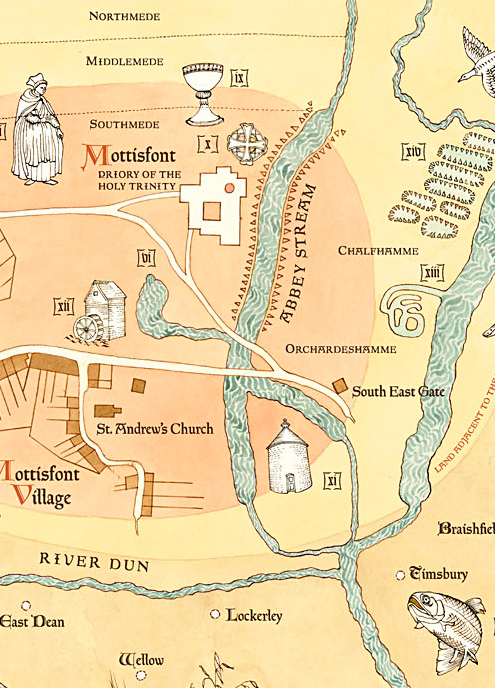 This map was created during a five-month residency at Mottisfont House in Hampshire. Louise researched the early history of the house, which was originally an augustinian priory, making drawings of natural and cultural objects that played a role in medieval life. 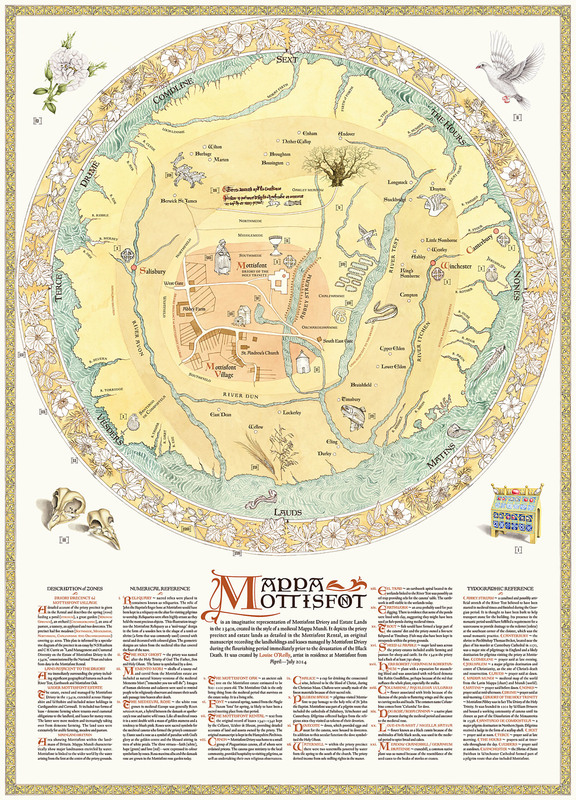 Mappa Mottisfont is an imaginative representation of Mottisfont Priory and estate lands of in the 1340s created in the style of a medieval Mappa Mundi. It is based on data from the Mottisfont Rental, an original manuscript recording the landholdings and leases managed by the priory immediately before the Black Death. In the tradition of Mappa Mundi, it includes drawings and text relating to religious and secular life placed within a stylised geography. 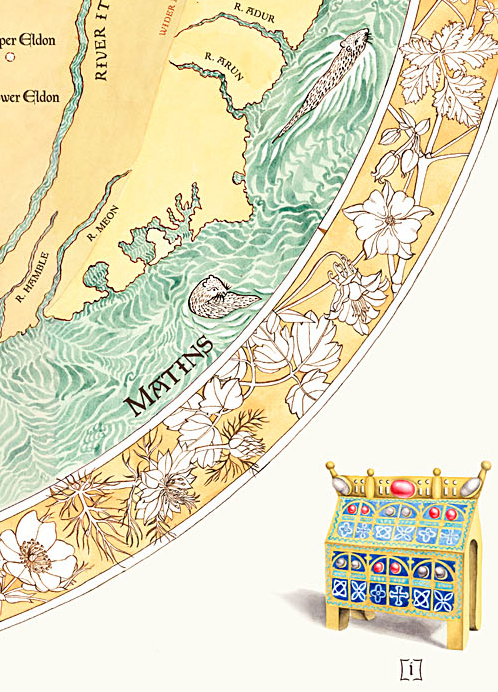 Mappa Mottisfont was commissioned by the National Trust and is now in the permanent collection at Mottisfont House.